Is Anika really working for the family, or is she only out for herself? It's clear she'll do whatever is best for Bella, even if that means potentially giving Cookie custody if something happens to her. 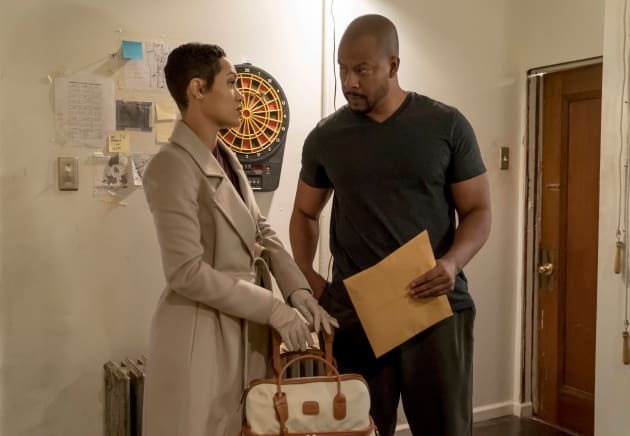 Empire Season 3 Episode 14: "Love is a Smoke"
Whatever you and him got, it ain't nothing compared to what we had. Permalink: Whatever you and him got, it ain't nothing compared to what we had. Lucious: I was a bit of a romantic then. Cookie: Was that before or after you divorced me? Lucious: Does it matter? I mean, we both know that love and romance is all bull, right? Permalink: Does it matter? I mean, we both know that love and romance is all bull, right? Empire Photo Preview: Lucious and Giuliana Face Off!